Looking for a practical piece of furniture? 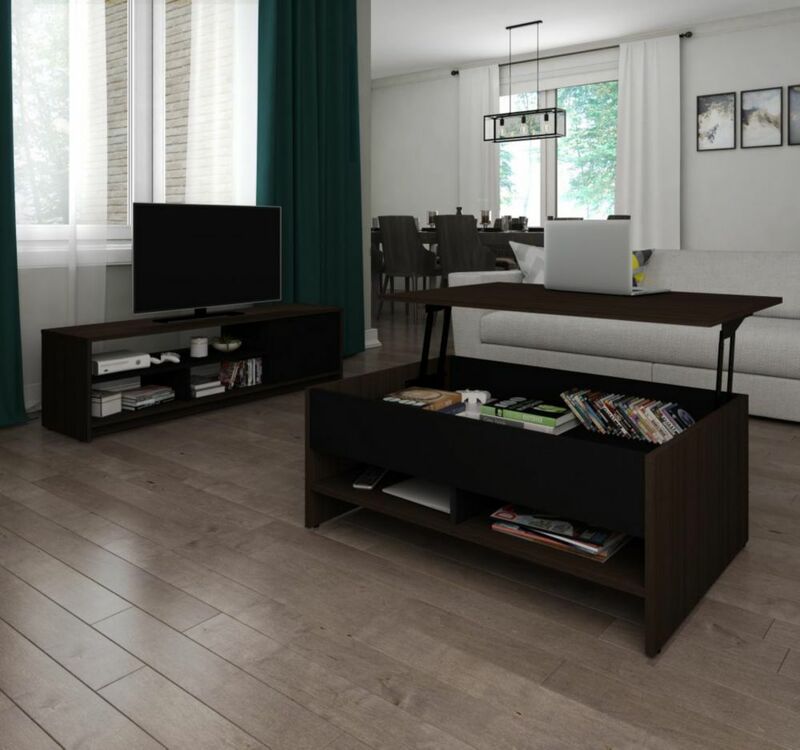 The Dalarna TV Stand will fit right into your Living room, Office, and Bedroom! Made of high quality MDP with colorful finishes. Its unique design includes splayed legs and square knobs. Perfect to use as a decorative piece and display collector items, books, pictures and more! Dalarna includes 2 drawers and 2 open shelves. Enjoy the easy to assemble design of the TRL-801-C from the Laguna Collection. Open shelves provide a generous platform to house all of your A/V components while maintaining optimal airflow. Black tempered safety glass shelves and Satin Black uprights present an ultra modern style perfect for any space. Bring home this easy to assemble design by CorLiving, furnishing your home doesn't get any easier than this. Create a larger offset between the rain barrel spigot and the ground with an RTS Home Accent Rain Barrel Stand. The rain barrel stand makes it easier to fill watering cans and for general use of your rain barrel. The tough rigid design holds the weight of a full rain barrel, and is designed to work with the 50 Gal. flat back rain barrel from RTS Home Accents. Small Space 2-Piece Lift-Top Storage Coffee Table and TV Stand Set - Dark Chocolate & Black This set includes one 37-inch Lift-Top Storage Coffee Table and one 53.5-inch TV Stand. 37-inch Lift-Top Storage Coffee Table: 37.2 inch W x 26.5 inch D x 15.1 inch H. Durable commercial grade top surface with melamine finish that resists scratches, stains and burns. Thanks to the Lift-top mechanism, you can quickly and quietly adjust the top surface from standard (15 inch) to elevated (23 inch) position. Lift-top functionality allows dining and working while enjoying the comfort of your sofa. Large storage compartment under the table top to keep you organized. The 2 open compartments are accessible on both sides of the table. 53.5-inch TV Stand: 53.5 inch W x 14.5 inch D x 15.1 inch H. Durable commercial grade top surface with melamine finish that resists scratches, stains and burns. 3 open compartments to keep you organized. 1 closed compartment with 1 adjustable shelf and 2 grommets for efficient wire management. Assembly Required.